ROME — The gap between the speed of innovation in the commercial Earth-observation industry and the slow pace of government-funded projects is growing, according to the chief executives of Spire and Planet, two Silicon Valley firms that have put up hundreds of small remote-sensing satellites over the past few years. Speaking Nov. 12 during the opening day of PhiWeek — a five-day conference focusing on the future of Earth observation held at the ESA Centre for Earth Observation here — Platzer announced that the San Francisco-headquartered space technology provider and satellite operator would be offering “space-as-a-service” packages in the form of constellations of payloads. For 20 payloads in orbit, Spire would charge as little as 10 million euros, or about $11.3 million. He said Spire, which launched its first satellite in 2013, had to spent in the range of a hundred million euros to develop its constellation. However, Platzer said, the firm is now able to bring the cost down for others by reusing their existing infrastructure, know-how and supply chain. For comparison, Thales Alenia Space received 400 million euros in 2015 to build Sentinel-1C and Sentinel-1D for the European Commission’s Copernicus Earth-observation system, which provides Earth-observation data for free to academia, governments, as well as entrepreneurs seeking to develop new applications. Platzer further criticized the slow pace at which publicly funded projects move, which leads to their failure to harness cutting-edge innovation. Constellations such as Spire or their counterpart Planet, which today offers daily revisits of every single place on the Earth, were considered inconceivable when plans for Copernicus and other large-scale government projects were being made. Platzer, however, praised ESA for supporting the development of their space-as-a-service offering. Planet CEO Will Marshall agreed that there is a need for public institutions to incorporate more flexibility into their budgets to enable their EO-driven services to take advantage of the latest innovations and disruptions. Marshall, however, said he believed that for at least some time, there would be room for publicly funded missions, such as Copernicus’ Sentinels, alongside the aggressively evolving commercial players. Over time, however, the commercial players such as Planet or Spire will get closer to what was once only possible with expensive government-funded technology, he added. With the size of their fleets, companies like Planet can offer more than daily revisit times, something that the government missions in their current form cannot provide. These frequent revisits, Marshall, said unlock an entirely new area of applications based on real-time monitoring rather than mapping and assessing the situation on the ground retrospectively. ESA is currently looking at concepts of future satellites that could expand the Copernicus constellation in the second half of the 2020s. According to Andreas Viespak, who leads the European Commission’s Space Data for Societal Challenges and Growth Unit, the commission’s priority is to create a continuous pool of Earth-observation data that would be available to researchers and governments for decades to come. 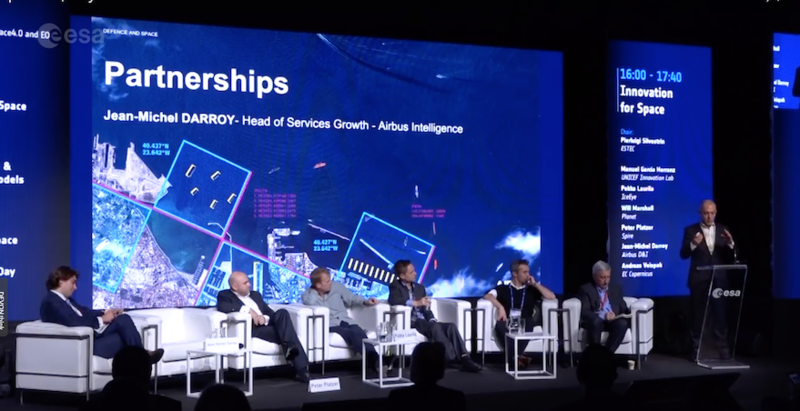 However, he added, Copernicus will likely be open to purchasing more data from private providers to improve the quality of the data pool and make up for its own shortcomings.